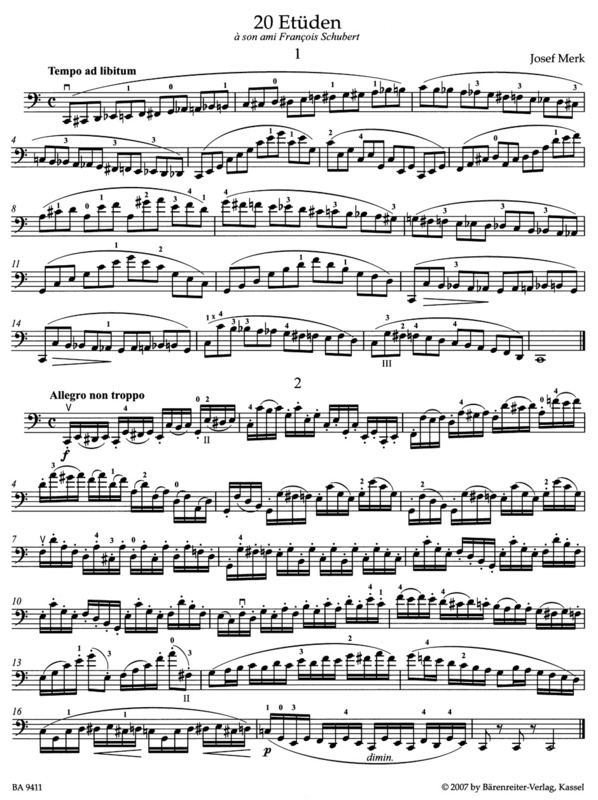 The Merk studies are brilliant pieces for the neck positions and if it comes to ranking their difficulty, they would be between Lee's op 70 and the ten medium Popper etudes. Josef Merk is one of those characters who I hope to bring back to life as he must have been an important figure in the Viennese musical life of the first half of the 19th century. Chopin dedicated the op 3 Polonaise to him and he was friends with Schubert. 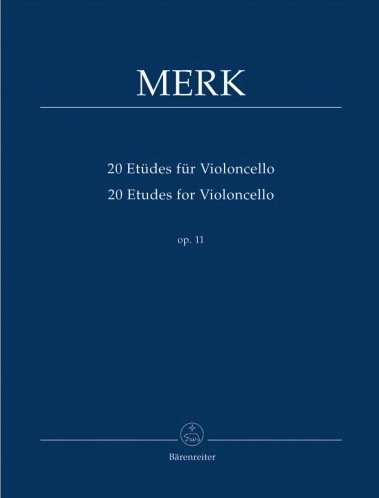 In the meantime I have recorded his "Fleurs d'Italie" and two other pieces for Naxos and hope that there is more to find as Merk's are some of the earliest true "salon pieces" for cello. The op 11 studies show that he must have been a rather systematic teacher because other than Duport's wonderful etudes these ones focus on one or two difficulties each while trying to be good music (with Duport I always feel it is the other way round). The editing process was rather straightforward as the Haslinger source is quite clear. Klengel in his edition adds some dynamics and changes some of the articulation so this edition could mostly be neglected.